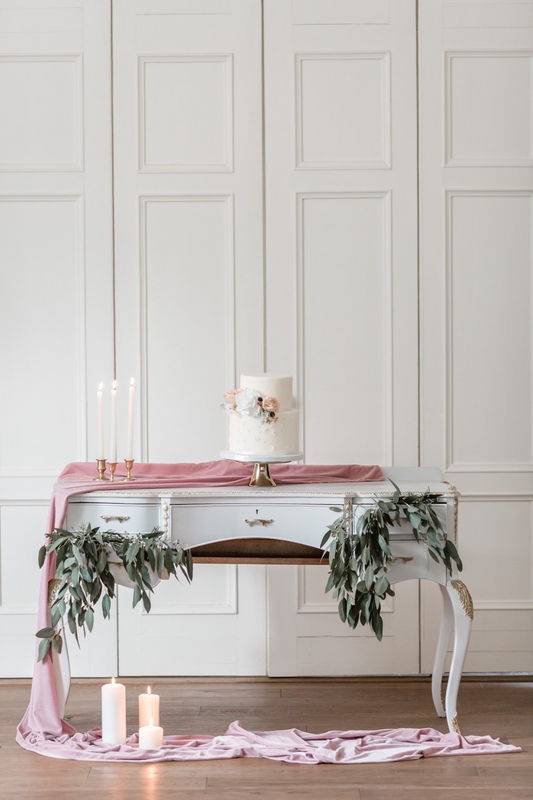 A minimalist wedding gives you the freedom to really focus on what's most important for your wedding decor, and that was the idea behind this classic and simple wedding shoot styled by Your Wedding, Your Way, Flutterbee Me and a team of talented vendors. 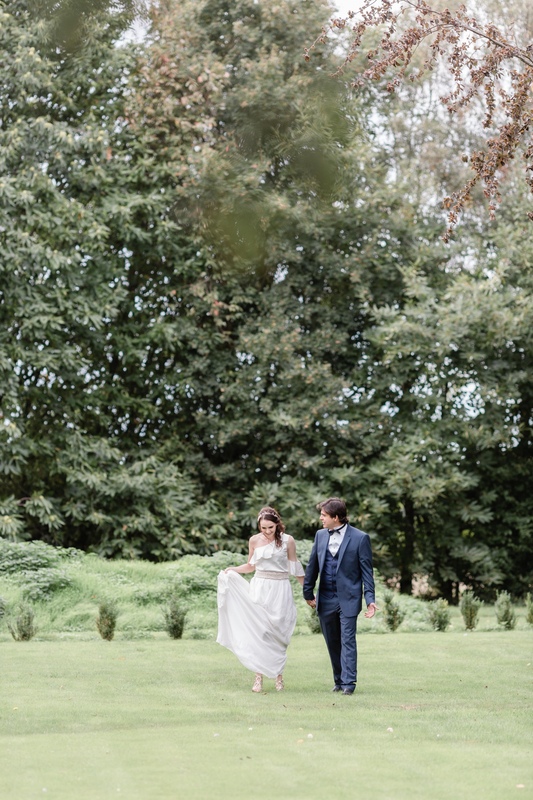 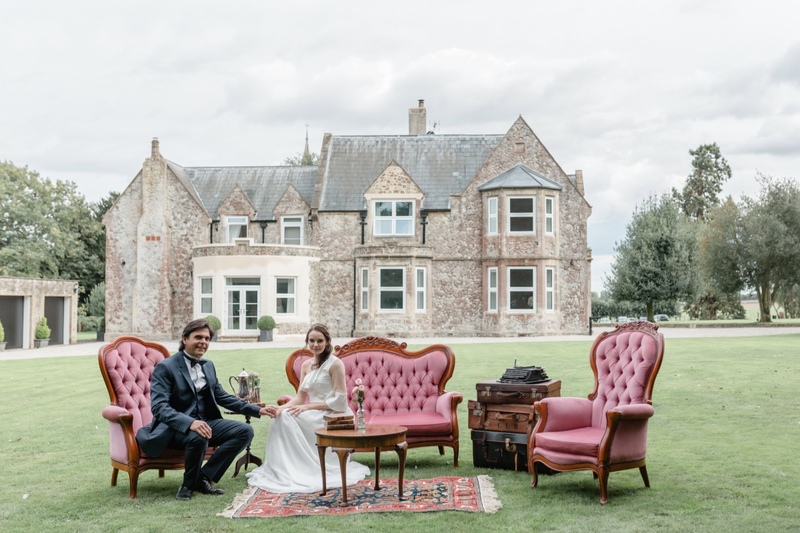 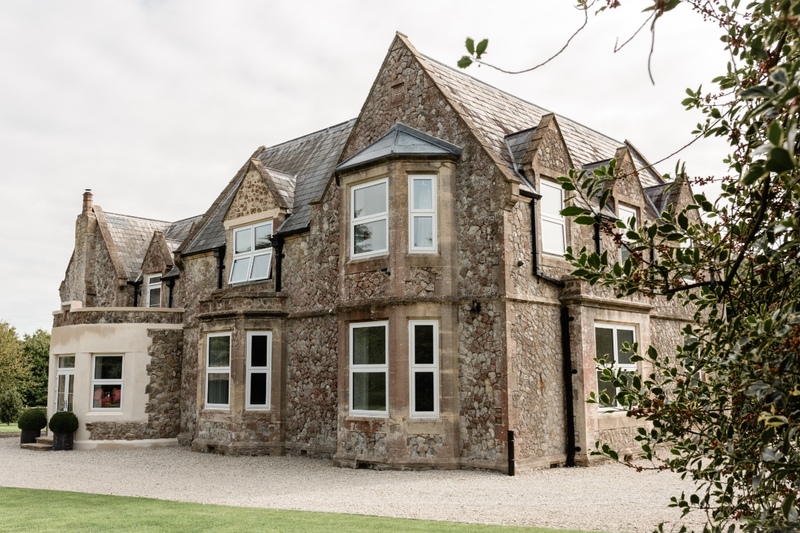 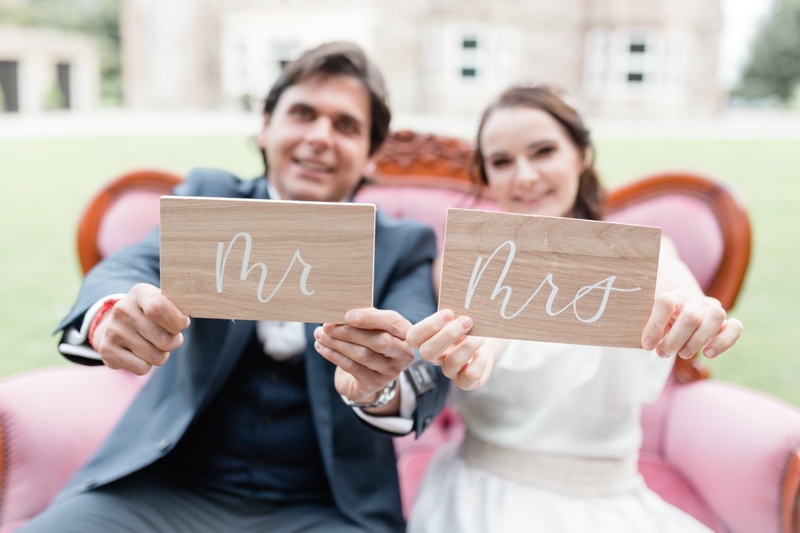 They chose a minimal color palette in shades of blush and gold and paired it with fresh greenery and soft candlelight at the lovely Kingsdown Rectory. 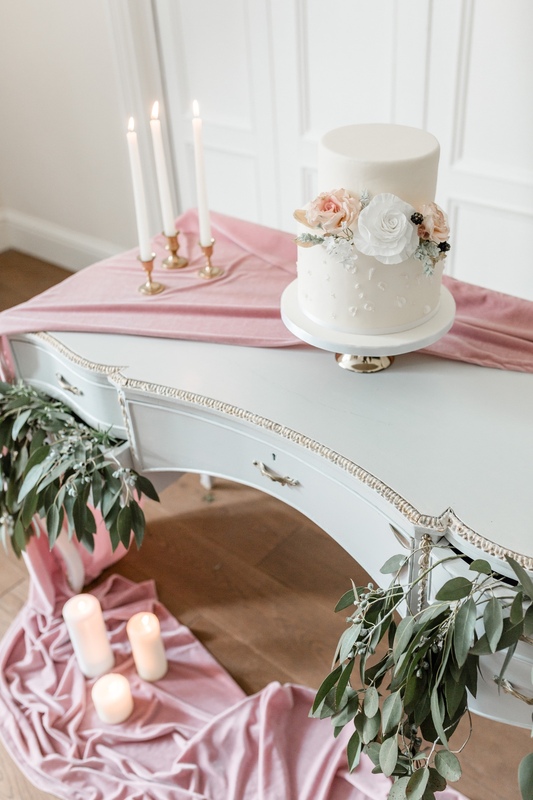 See all the chic details below, and catch a closer look at all the details captured by Kate Hennessy Photography. 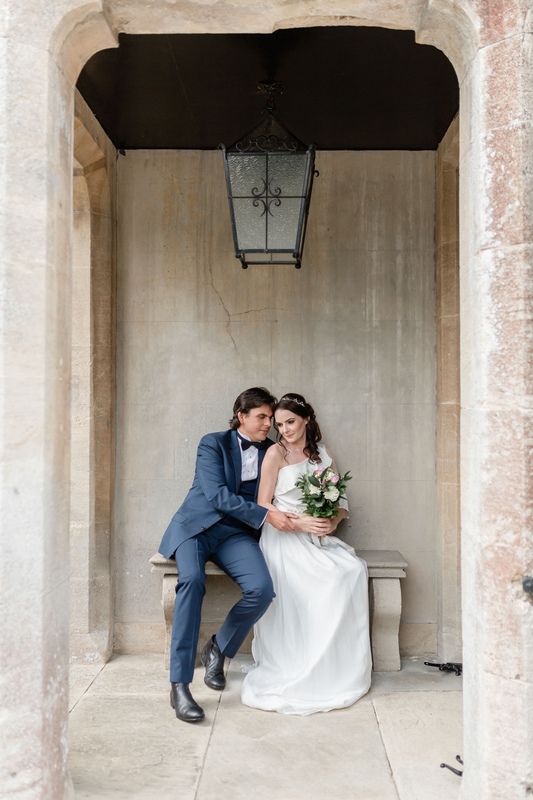 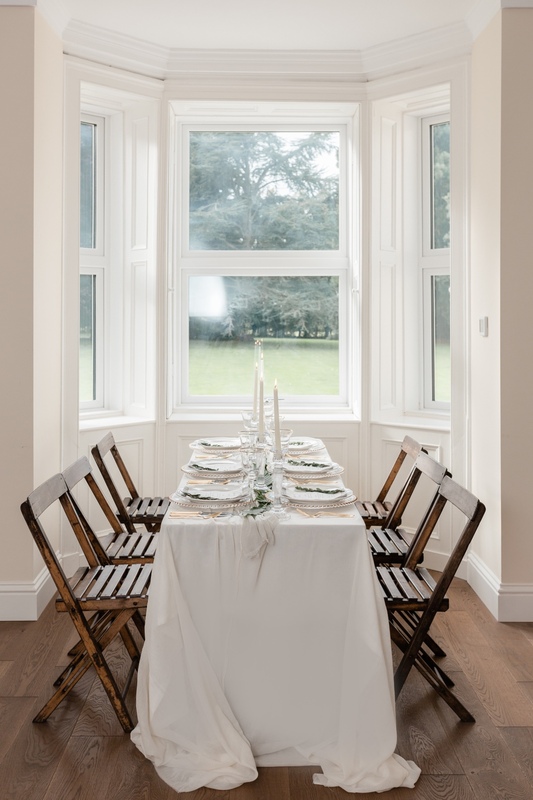 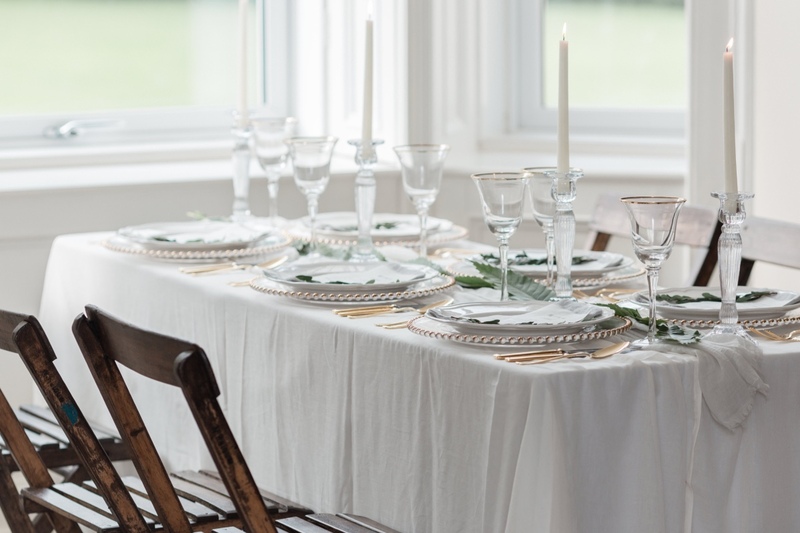 From Your Wedding, Your Way: This organic, pared back shoot was designed to give inspiration to couples planning a relaxed and sophisticated wedding in a homely setting where they have the freedom to create their own style. 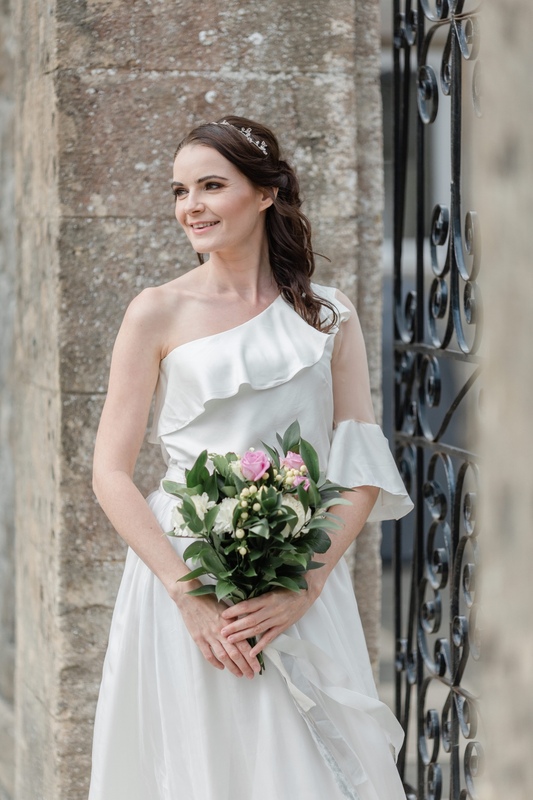 The beautiful bespoke bridal two-piece was created by Jessica Turner Designs and is a fabulous way to mix up your bridal wear as you could change the top in the evening to create a whole new look! 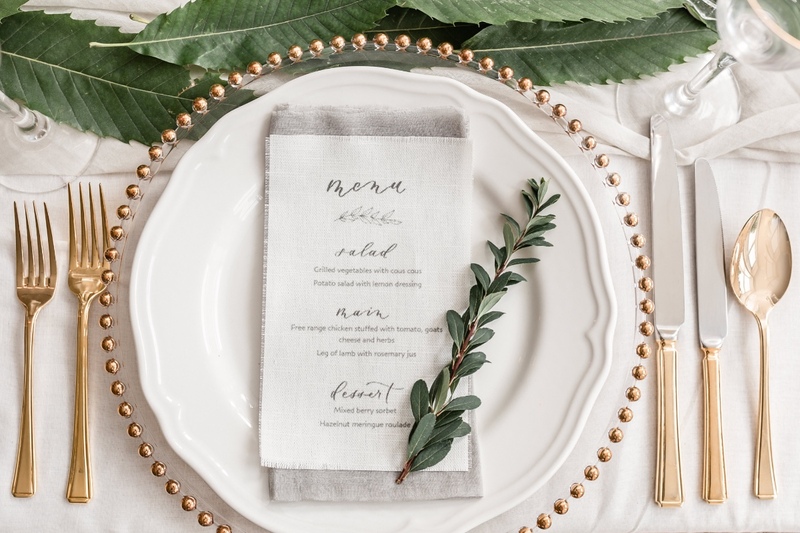 With the table, we wanted to demonstrate how to create a relaxed and yet elegant tablescape with beautiful linen menus which really set off the place setting. 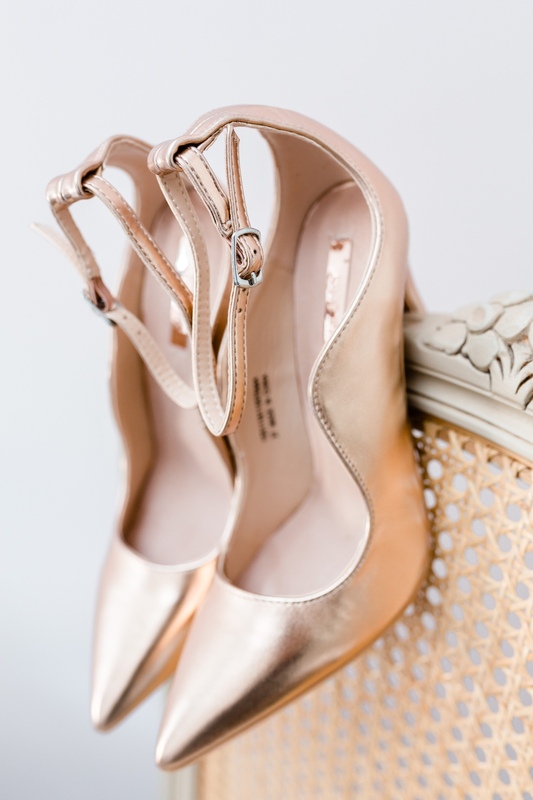 This detail is such an amazing way to make something functional info a beautiful part of the overall aesthetic. 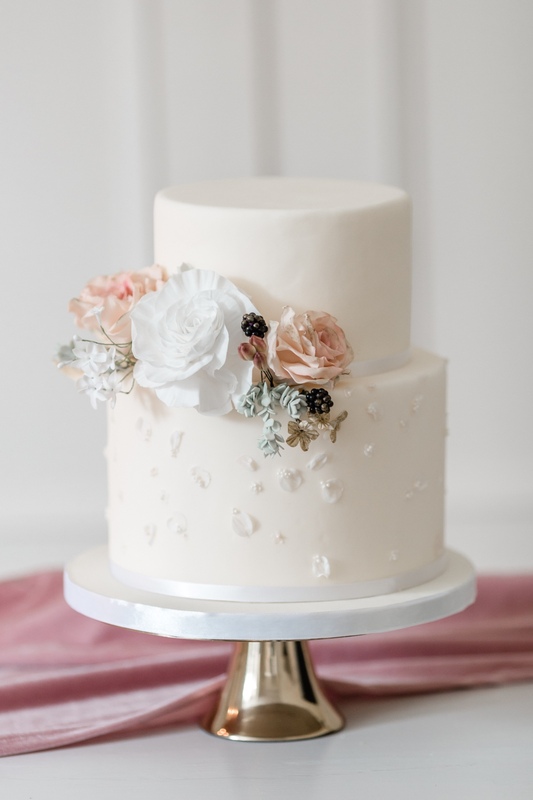 The gorgeous two-tier cake was created by Cake Me By Surprise, showcasing a classically inspired design with subtle decadence.